This article is about the related Chinese words Ming, Xing and Zhi. Ming is normally translated as ‘Destiny’ but this doesn’t come close to the subtle meaning buried in the character. 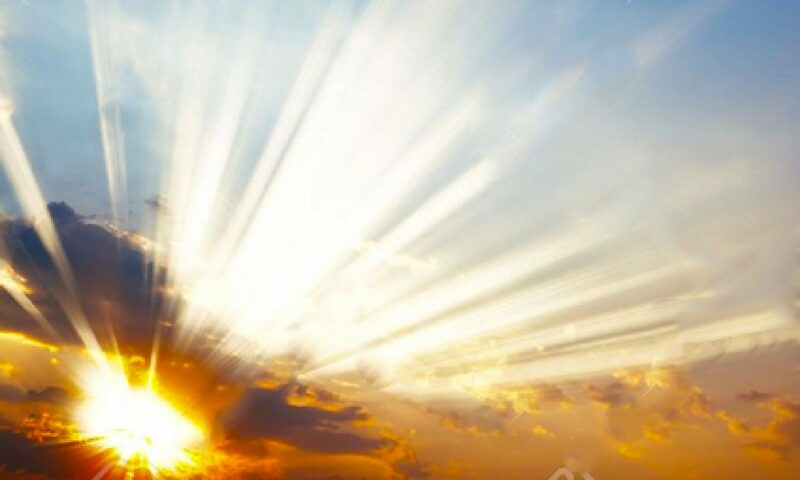 The Shen Nong Ben Cao Jing, one of the most ancient Chinese medical texts, states that the highest level of healing is helping a person to fulfil their Ming and giving nourishment to their Xing ( translated as “true nature”). To the authors, this was more important than the mere curing of disease . What’s the point of being cured if you’ve lost the point of living? In fact, to one Taoist school of Chinese medicine, one couldn’t work with Qi if you didn’t take account of the Ming. So what do the characters really mean and why are so important to those ancient Chinese doctors? 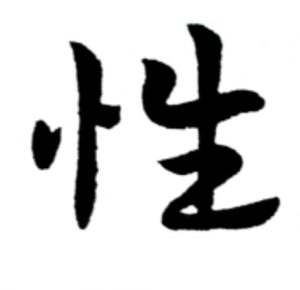 Taking the character for Ming to bits: the top two strokes represent a person. Then there is a single line – representing unity – and with a subtle connotation of unifying past and present, ancestors and oneself. Then two shapes. The left shape is a mouth and the right is an embryo. Putting all of this together, Ming really means something like “The instructions given by the ancestors to the embryo”. In one way, it could be identified with DNA. That’s exactly what DNA is on a physical level. This fantasy changes one’s feelings about life and its challenges enormously. Also it changes how one sees the process of therapy. Instead of focusing on changing oneself it moves us to focus on making the best of oneself, of learning from our problems. The second character Xing consists of two parts. The left is a heart, the right is life. So it means Heart-Life. It is normally translated as one’s nature. So Ming might be seen as the map of our life, Xing is our guide to whether we are on the right track.. If we are inspired by our purpose and are following our nature, we act with authenticity. 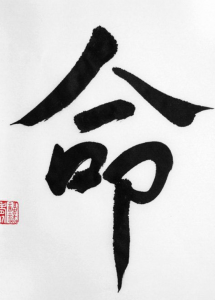 The power of authentic action is called Zhi in Chinese, which is usually translated as Will. This is one of the ancient chinese four professions. The other three are merchant, artisan and farmer. But Shi does not have a clear definition. it can mean scholar, artist or soldier. If you feel the common feature of these people, it is that they go into new areas. There is a feeling of exploration, courage and creativity. 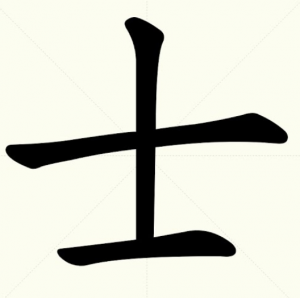 The bottom part is Xin, literally the Heart, but in Chinese it also connotes any aspect of Mind or Awareness. So together Zhi has the connotation of the Creative Mind. The aspect of ourselves that goes into new territory, doesn’t follow the herd but follows one’s authentic spirit. Ted Kaptchuk translates it as Wisdom and observes that two aspects of Will arise from the Zhi. 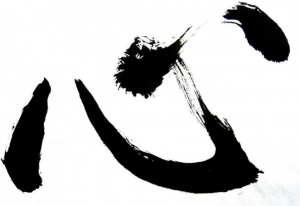 The Yang Will is similar to our English usage: a conscious purposeful force behind our actions. The Yin Will embodies the sense of unconscious purpose that we sometimes have when we look back and realise that our actions have been working towards an end that was always meant to be.